. كما يقدم فندق ترافل لودج سيدني الكثير من الخدمات لإغناء رحلتك في سيدني. يقدم هذا الفندق العديد من الخدمات الكفيلة بإرضاء أكثر الضيوف تطلباً. تتضمن كل غرف النزلاء وسائل الراحة والتسلية المصممة خصيصاً لضمان الراحة القصوى للضيوف. يمكنك الاستمتاع بالأجواء المريحة التي تقدمها مركز للياقة البدنية طوال النهار. مهما كانت دواعي سفرك فإن فندق ترافل لودج سيدني هو خيار ممتاز لإقامتك في سيدني. يوجد موقف للسيارات خارج منطقة العقار لقاء 25 AUD في الليلة. يجب حجزه مسبقاً. يلزم دفع مبلغ تأميني على البطاقة الإئتمانية عند تسجيل الوصول نظير الرسوم أو الأضرار التي قد تحدث خلال الإقامة، وسيتم استرداده عند المغادرة. واي-فاي/إنترنيت متوافر في هذا العقار بدون رسم إضافي لوقت محدد أو لـكمية تكفي لـ 4 أجهزة. وتنطبق الرسوم في حال تجاوز الفترة المحددة..
يخضع اللوبي للتجديد حتى منتصف أبريل. قد يكون هناك تأخير في تسجيل الوصول والمغادرة. يخضع المبنى الخارجي للتجديد حتى 31 أغسطس 2019. وستتأثر بعض المناطق بالضوضاء من الساعة 09:00 صباحًا وحتى 05:00 مساءً في أيام الأسبوع. لطرح أي استفسارات أخرى، يُرجى الاتصال بالعقار مباشرةً. Easy to walk to Darling Harbour... Circular Quay is a longer but quite achievable walk. Also close to shops. Hot was good although needed a bit of a spruce up in the room (nothing too bad). Only 2 lifts working and very very slow. Location is great! Price is good considering location - short walk to train station, CBD, Darling Harbour and etc. Hotel is clean and room better than expected. Check in was simple and staff friendly. Bed bugs was the only negative with bites during the night and itchiness for a couple of days after. 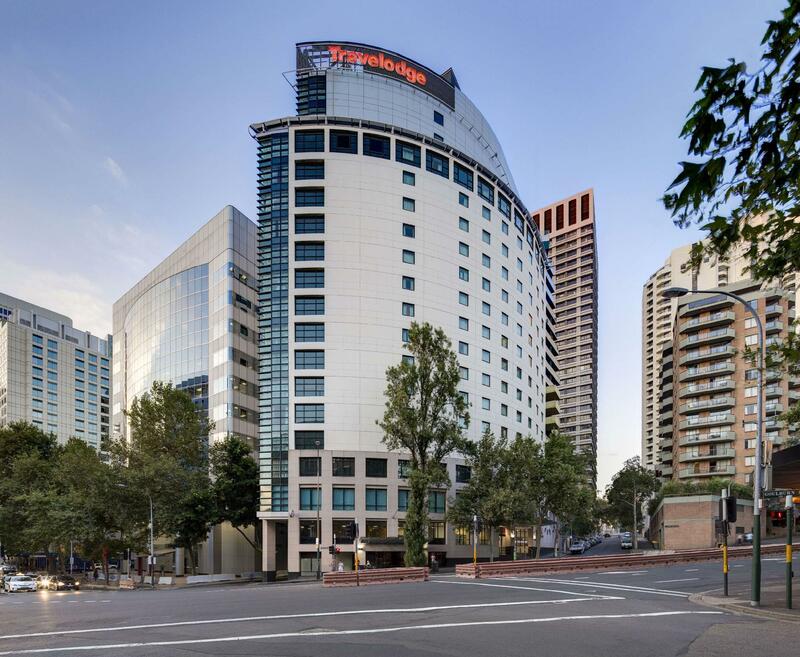 I stayed at this hotel last year during the City 2 Surf and would recommend it highly for anyone participating in the event, or more generally for someone who wants a comfortable stay in a central enough location. Room was comfortable and I'd look to stay here again next year. 2 out out 3 elevators were done for a few days, and it took them 4 days with 4 complaints to finally come fix the save in my room, it was just as simple as change the battery but apparently extremely difficult for them. Extremely poor and rude customer service at check in. Facilities in room were so dirty that it was unusuable. The electric kettle has so much dirty build up at the spout. No clean towels changed unless upon request. Only good thing is the location. Hotel ok .. clean ..
Well appointed rooms, with all amenities. Hotel also has a gym and laundry rooms in several floors. Huge area for guests to hangout/sit/read with couches and tables on the ground floor. Very helpful staff. Location is near train station and bus stop to Bondi, although there are parts that are somewhat uphill. Also walking distance to most attractions and shopping areas. For most of the aspect, Travelodge hotel is rather good but the washing machine and dryer for hotel guest should be upgraded for better service. The machines are still functional but they are too old! Some of my clothes were not completely dried after 30minutes of high heat drying. And please do replenish the detergent in guest laundry room as well, as I find it empty for days throughout my stay there. The location of the hotel is good. It is clean and neat. It is about 20 minutes walking distance to Darling Harbour & walking distance to China Town. It is within walking distance to Hyde Park. There are a lot of eating places & shopping areas nearby. The staff are helpful and friendly. Chloe was outstanding and so were the rest of the staff at Travelodge Wentworth Ave! Could not have done my job without their assistance and desire to go above and beyond. Great location, comfy big bed and will be back next time I need to travel to Sydney for work. Good location for pick-ups and drop-offs if you will go for tours. It's also few minutes walk to Victoria Building, the Hyde Park and some 20minutes walk to the Opera House and Circular Quay if you're a traveller who enjoys walking like me :-) Many restaurants along Liverpool and Elizabeth Streets and walking distance (10mins) to the Chinatown. Will stay here again. Excellent location, handy to CBD, 5 minute walk to trains and buses. 15minute train ride from international airport. Great buffet breakfast available, if you book and pay the night before you get breakfast at a discounted price. Spoilt for choice to restaurants all within walking distance. Would definitely stay here again. This was my second time here. 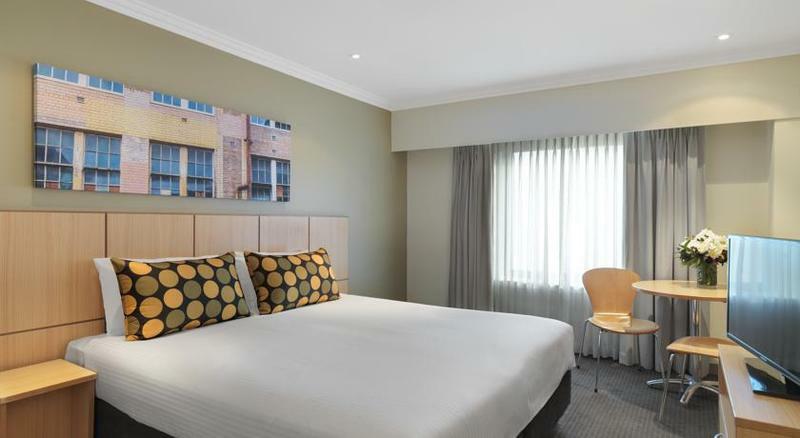 The hotel is close to Hyde Park, the Capitol Theatre, Central Station and Pitt Street mall. Our room had a good view of the city. We were celebrating our anniversary and the hotel put balloons, streamers and a card in our room, which was a nice touch. The breakfast buffet was pretty good - nice to have hot scrambled eggs, unlike at many hotels! My only criticism is that the bathroom was showing it’s age and the water pressure wasn’t great. Otherwise, we had a pleasant stay. Air-conditioning in the room was not working, most staff cannot understand English well, nearly fought with me, rude and made inappropriate allegation. Room was dirty, dust on curtain, carpet not vaccumed. No slipper, no toothpaste, no toothbrush, no shaver even upon asking from counter. Worst hotel ever. We arrived early but we weren't able to check-in because our room wasn't ready yet. However, they allowed us to store our luggages in their storage room while we wait for the room to be ready. That was really good because we had a tour scheduled in the morning. We also availed of their breakfast buffet at 19 dollars/person. Although the choices are a bit limited but I can't complain because it's only 19 dollars. The room was big enough for 3 persons. They forgot to set up the couch though so I had to call the reception. They were quick to respond though and sent someone to set up the couch. Good service and value for money. I would recommend this place. Good location. Within walking distance to Railway Station, commercial area in downtown Chinatown and major bus stop routes. Friendly frontline staff. Provided facilities to keep our luggage in a secure place whilst we left the hotel briefly to an outstation city in Canberra and coming back to stay at the hotel again. Good hearty breakfast meals. Sadly some of the food menu are not Muslim friendly. Could improve on this. good location, clean and tidy room. With microwave in room, good for simple cooking.